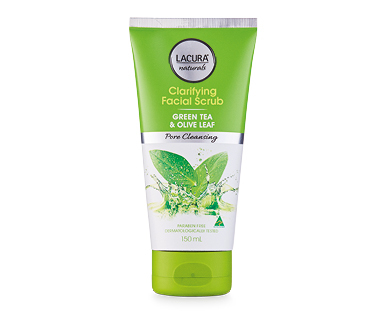 The LACURA® Naturals Clarifying Facial Scrub is a gentle cleaning scrub with exfoliating particles. Contains salicylic acid to help unclear pores, clean bleach heads and may help calm redness and irritation caused by acne. Enriches with antioxidant rich blend of green tea and Olive Leaf extract for healthier looking skin.